Your Love topped the dance charts in 1981. It was the biggest hit for the husband wife duo Lime. Denis and Denyse LePage are from Montreal. Denis LePage started out in the late 60s playing keyboards in Claire LePage & Compagnie. It looks like she is his sister. She retired from music in 1972. Denis went on to work with Michel Pagliaro among others. And he also released an album in 1975 as Orchestre De Denis LePage. This was instrumental music. Then he married Denyse and they released an album in 1976 as Le Pouls. Then Denis formed Kat Mandu with Joe La Greca and the 1979 single The Break was a dance hit. It was released in the US on TK Records. Denis wanted to bring Denyse in and that's when they started Lime. They wrote and performed all the music. La Greca was credited as producer. The single Your Love topped the dance charts. But the LePages never toured as Lime. Instead they hired a guy and girl to perform as Lime. That is Denis LePage performing in the video. I don't know who the girl is. I guess Denyse was shy or something. Meanwhile Denyse had another group Voggue who had a dance hit with Dancin' The Night Away. Because Denyse was in Lime, the record company hired two girls to perform live as Voggue. 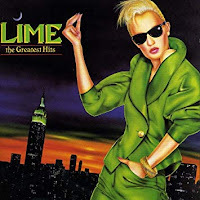 Lime continued to record through the 80s but they didn't have another big hit. The LePages divorced in 1988. Both have gone on to produce other artists. Here's the video for Your Love by Lime.